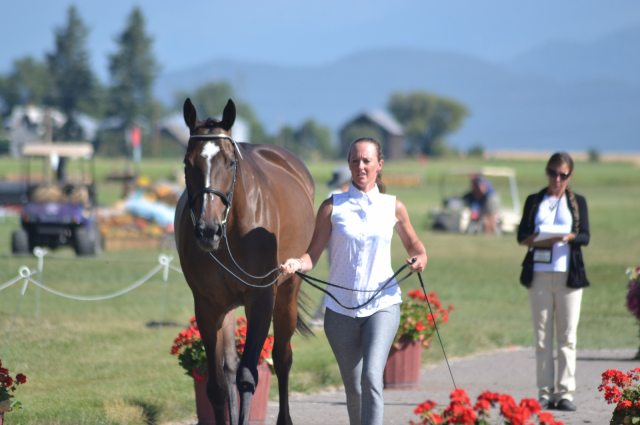 Tamie Smith and Fleeceworks Royal, leaders of the CIC3*. Photo by Leslie Wylie. 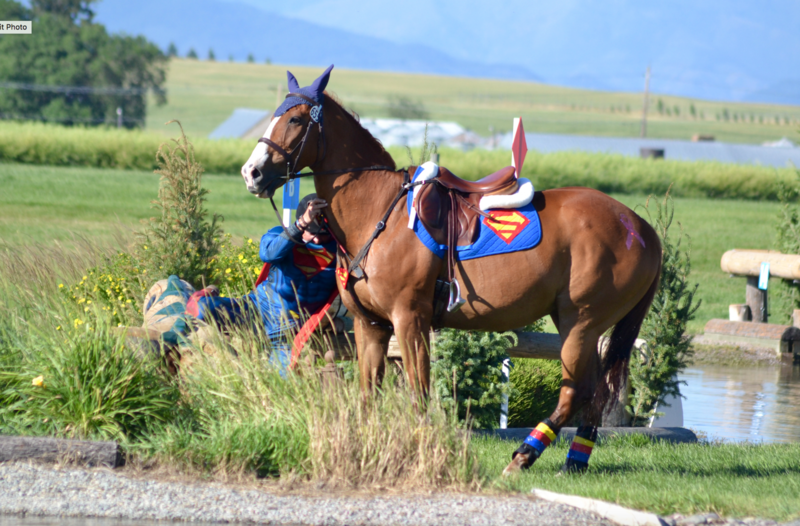 Another stunning day has dawned here at Rebecca Farm, where final horse inspections for the FEI divisions have just wrapped up. 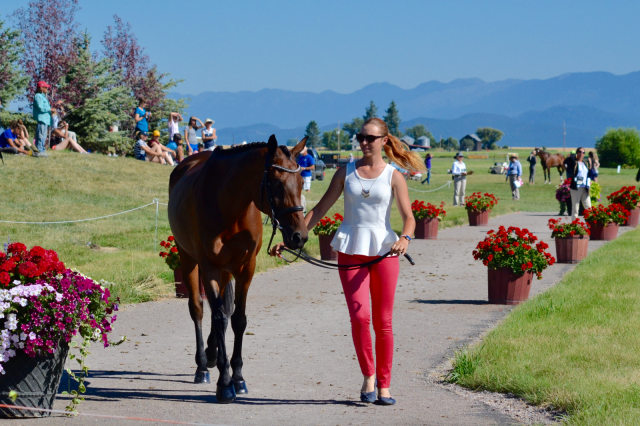 All NAJYRC horses cleared the final horse inspection and CH-J CC1* show jumping is underway. Best of luck to all! 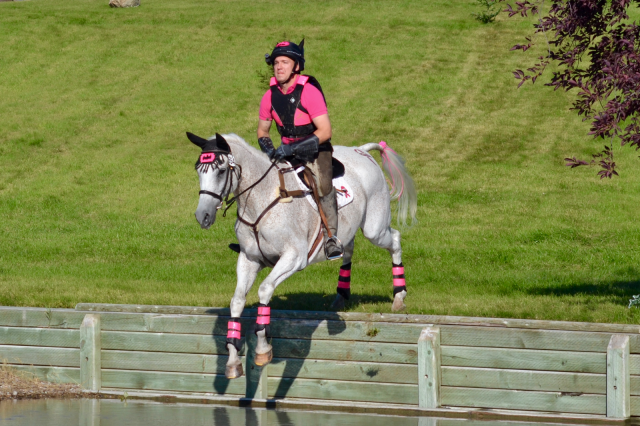 All horses passed the CIC3*, including our overnight leaders Tamie Smith and Fleeceworks Royal. Madeline Backus and P.S. 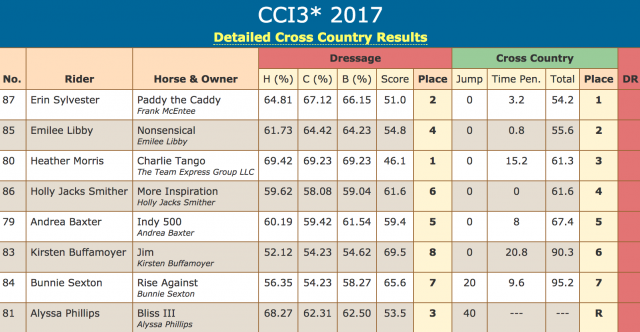 Ariana are 5th in the CIC3*. Photo by Leslie Wylie. 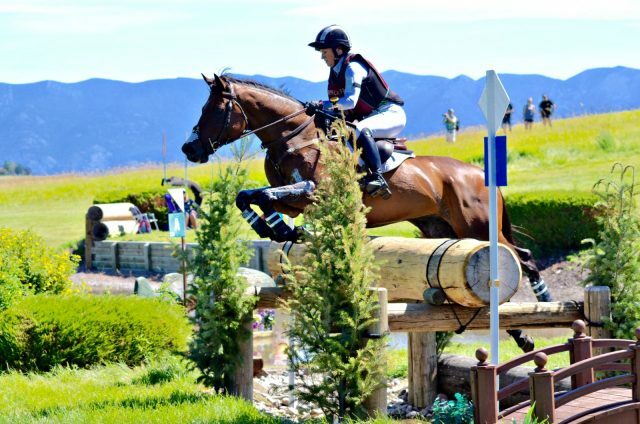 Jenn McFall and High Times are 4th in the CIC3*. Photo by Leslie Wylie. 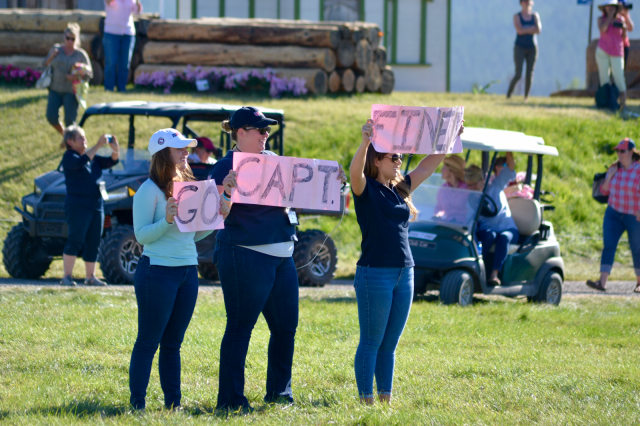 The CCI3* division, led by Erin Sylvester and Paddy the Caddy, was less lucky, as Holly Jacks Smither/More Inspiration (4th) and Kirsten Buffamoyer/Jim (6th) were held and sadly did not pass upon re-presentation. 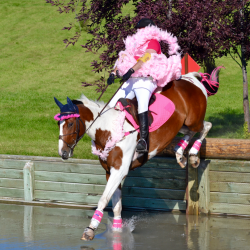 Emilee Libby withdrew Nonsensical last night. 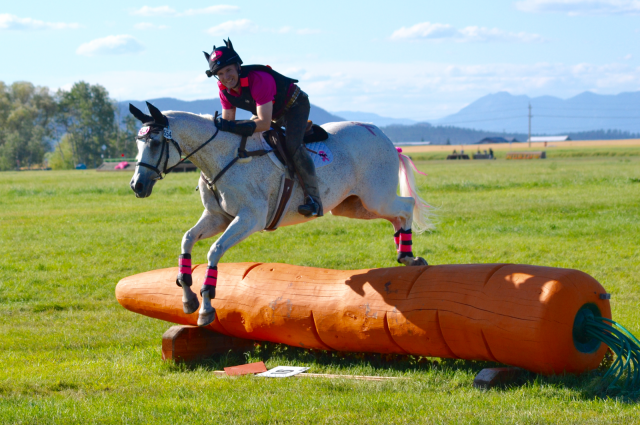 Of note Tamie Smith’s CCI2* ride, Sunsprite Syrius, who was leading the division, was also spun. 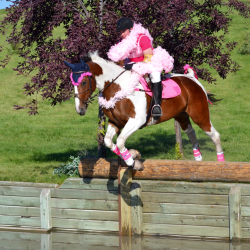 Andrea Baxter and Indy 500 are 5th in the CCI3*. Photo by Leslie Wylie. Aren’t the mountains in these photos so pretty that they look kind of fake, like the backdrop of a movie set or something? 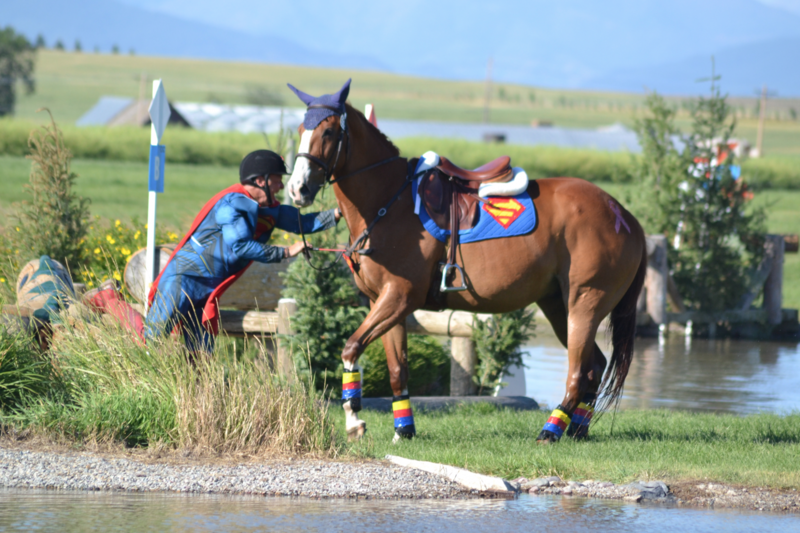 Still in the hunt after dressage: Bobby Stevenson of the ground jury, Rebecca Farm’s Sarah Broussard, course builder Bert Wood and USEA CEO Rob Burk. Photo by Leslie Wylie. 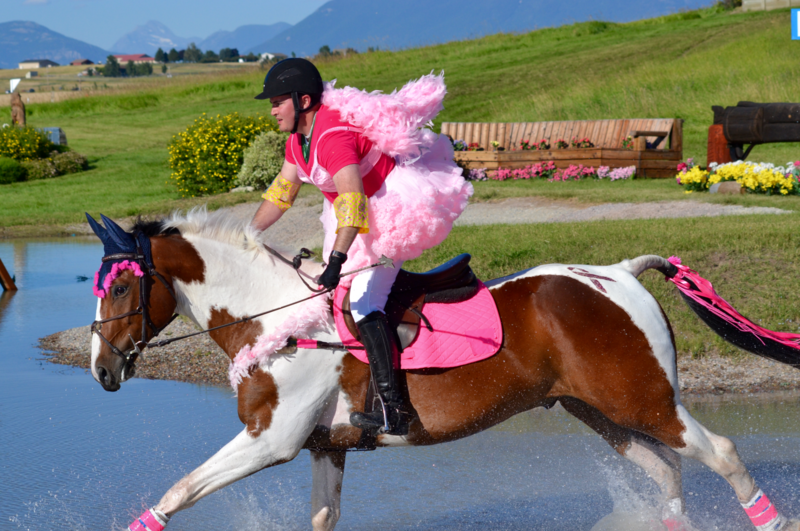 The Halt Cancer at X Challenge continued Saturday evening at Rebecca Farm with the most incoherent demonstration of cross country riding that American eventing has witnessed in recent history, or at least since last year’s Challenge. 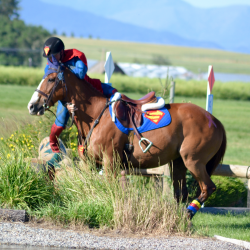 The format was gambler’s choice, and in a new format twist that had spectators ducking for cover, this year all five riders went cross country simultaneously. The catch ride was a bold move for Matt, a former Young Rider who has only ridden twice in the past six years, once in bike shorts and once to impress a girl. 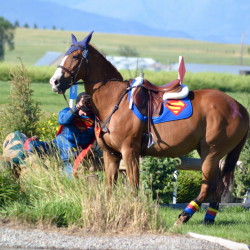 We were all impressed, or something, when he trotted his horse off the one-star bank. Stand by your man, ladies. Photo by Leslie Wylie. Bobby “Superman” Stevenson, who represented Canada in the 1992 Barcelona Olympics, took flight at the water complex. Here’s the full sequence — notice how he’s laughing even before he hits the ground. 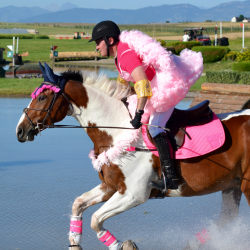 And then there was “Fatman in Pink” Rob Burk, who in his pre-USEA past life was a graduate H/A Pony Clubber and Young Rider who coached the Otterbein University Equestrian Team and the U.S. 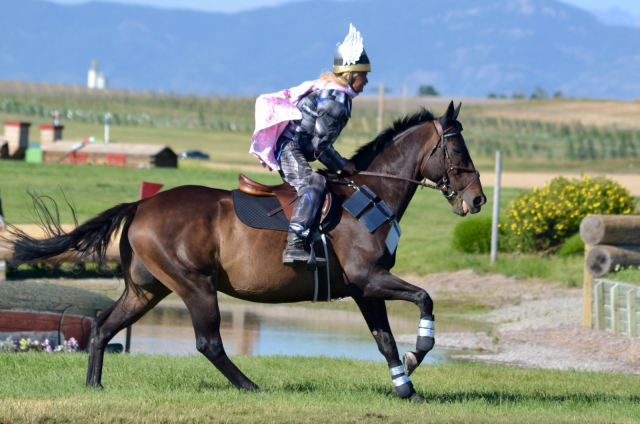 Naval Academy Equestrian Team. The Dark Knight rises, er, drops. Photo by Leslie Wylie. 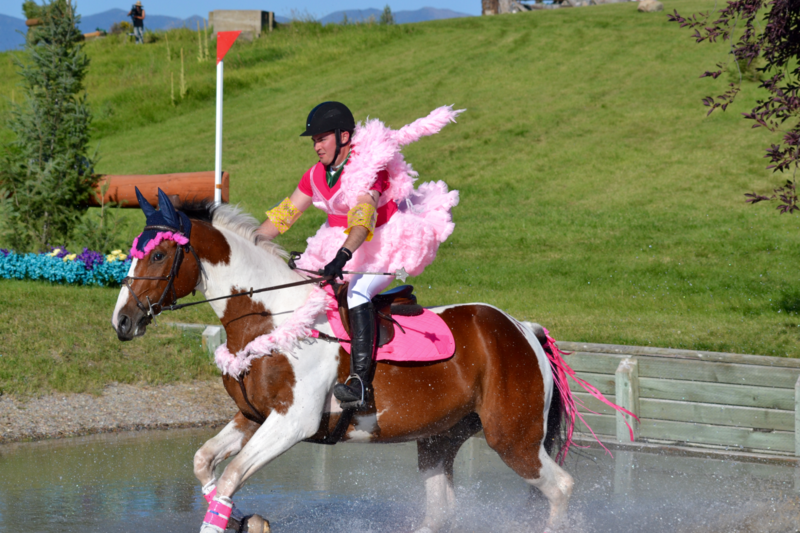 We were all concerned when he galloped out of sight on course only to reemerge some time later half covered in mud. 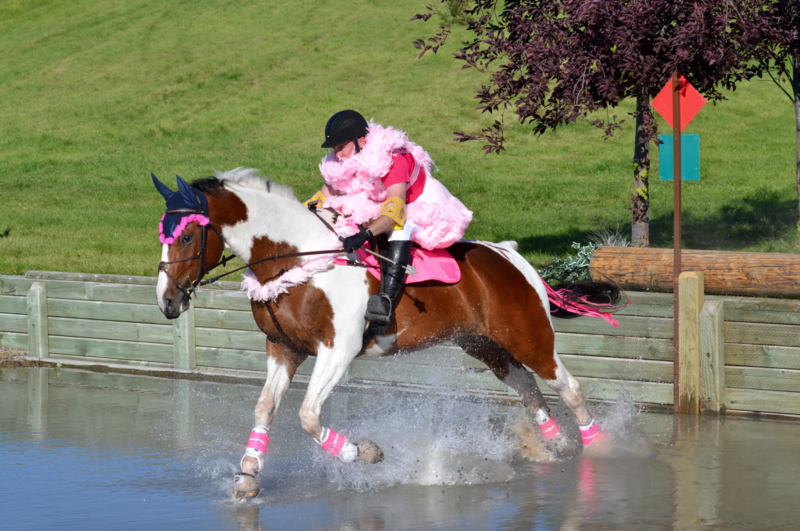 Which was baffling, since Montana is in a drought and there is no apparent mud on the cross country course anywhere. Breeches: Before. Photo by Leslie Wylie. Breeches: After. Photo by Leslie Wylie. Rob was limping a bit when we spotted him at the competitor’s party. Feel better soon, buddy! 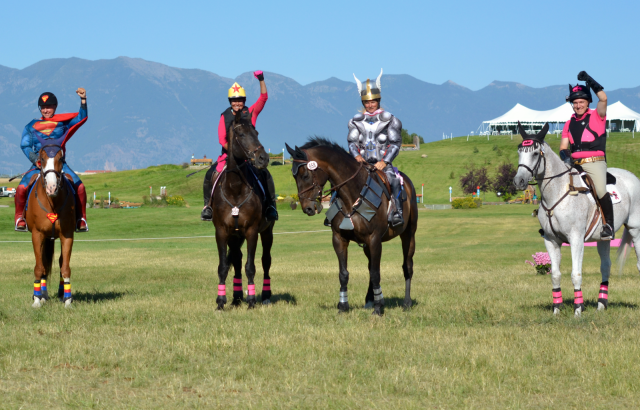 To be fair, Sarah “Wonderwoman” Broussard and Bert “Thor” Wood looked quite competent out there. Sarah’s only dangerous riding violation came when she nearly mowed down some small children on the Western Town mound, and our only complaint about Bert was that he he left his hammer back at the barn. 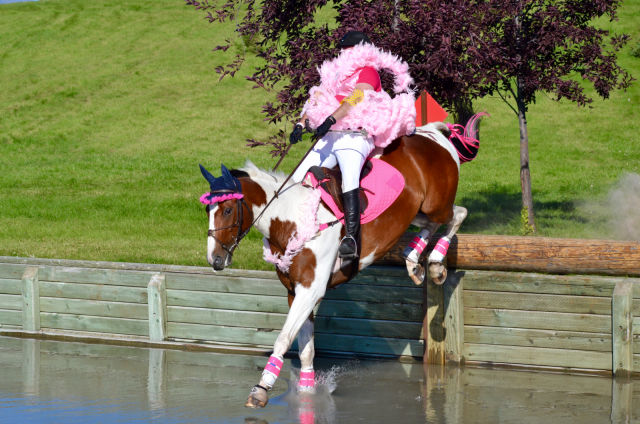 The action continues with today’s Halt Cancer at X Challenge show jumping finale at 1:30 MT. 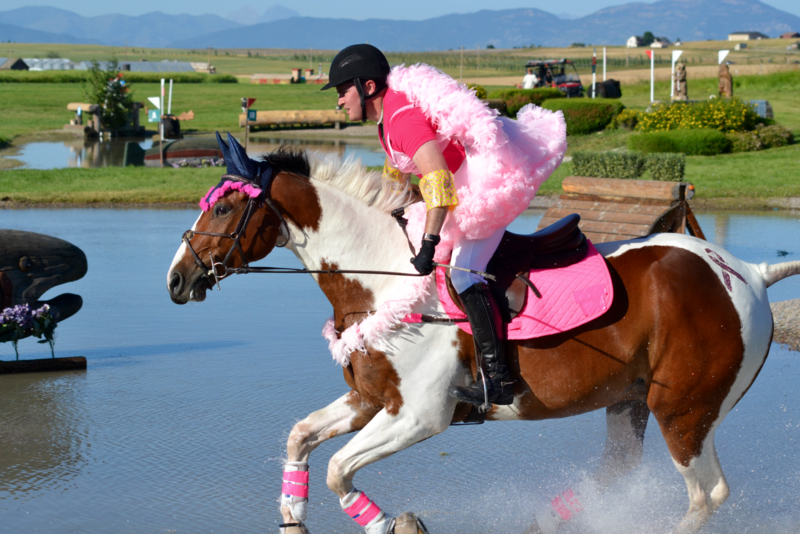 There’s plenty more going on this weekend to benefit Halt Cancer at X, and we’ll keep you posted on that! 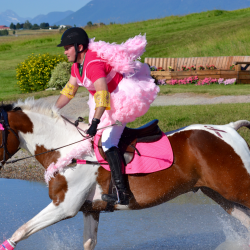 Be sure to stop by Fleeceworks in the trade fair, where their great Ride for a Cause incentive is donating 10% of sales to Halt Cancer at X.
Erin Sylvester and Paddy the Caddy. 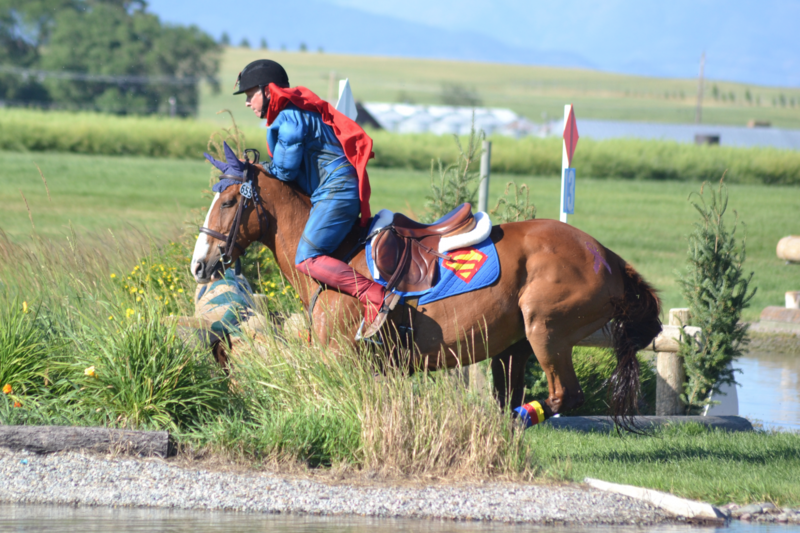 Yesterday’s three-star cross country leaders held fast to their thrones in today’s show jumping competition. 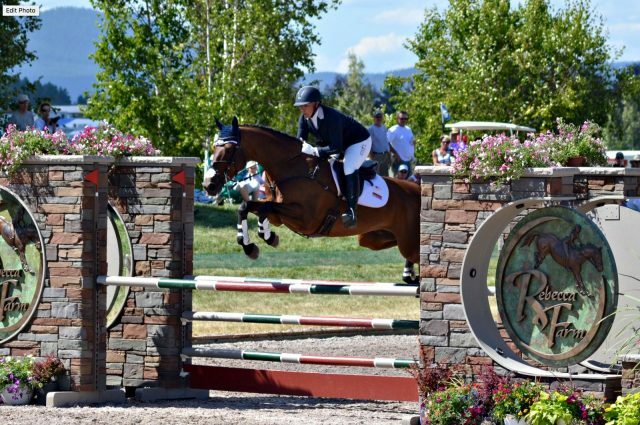 Congrats to Erin Sylvester and Paddy the Caddy, winners of the Adequan USEA CIC3* Gold Cup, and to Tamie Smith and Fleeceworks Royal, winners of the CCI3*! 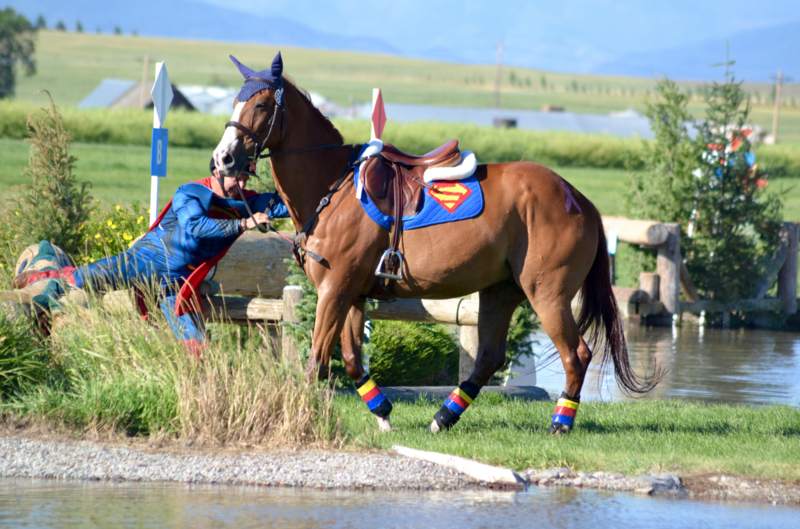 And a job well-done to Derek di Grazia and Ringwood Justice, winners of the CCI2*. 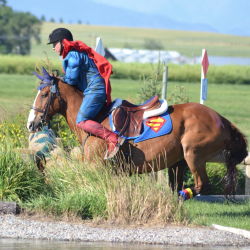 Erin Sylvester’s trip to Montana proved worthwhile today in spades. 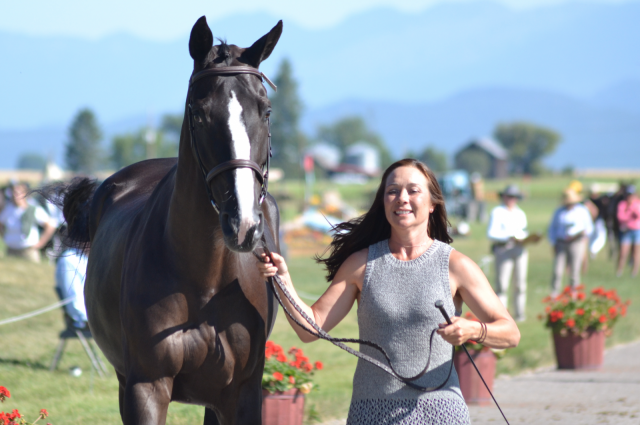 She returns home to Cochrane, Penn., with Paddy’s first FEI win in tow and an enthusiastic appreciation for the Event at Rebecca Farm. 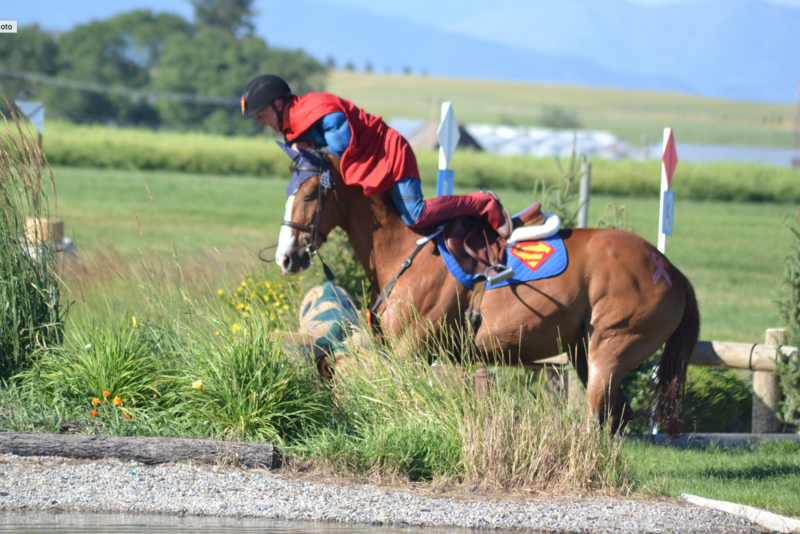 Frank Macentee’s 10-year-old Thoroughbred gelding pinged around today’s show jumping course. Designed by Chris Barnard, it was plenty testing from start to finish, including a rollback right out of the gate. 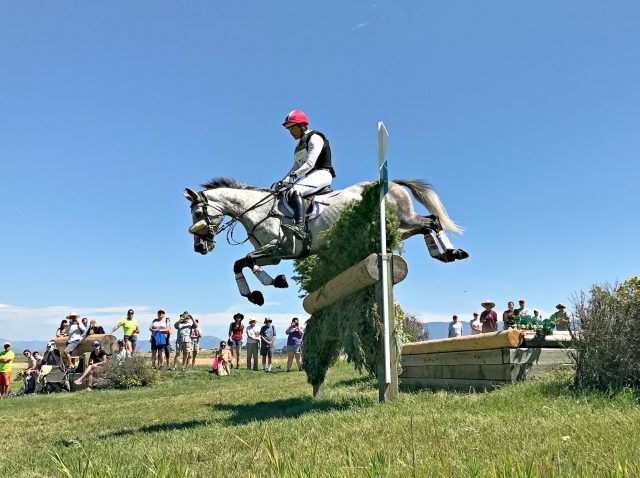 Of the four CCI3* competitors left standing, three had clear rounds inside the time; only one, second-placed Heather Morris with Charlie Tango, had a rail. To East Coast riders who entertain the idea of coming to Rebecca but are put off my distance and expense, she says, “They have to come. It’s attainable to make the trip. You can apply for a travel grant (as Erin did, the receipt of which sealed the deal of her own journey). 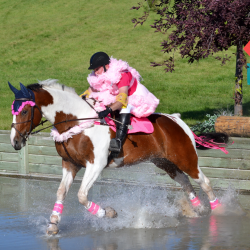 The effort that they put in to go above and beyond for riders, spectators and owners is really special. Everything event has its ‘thing’ they drive home, and Rebecca tries to nail it all home and make it an amazing experience. 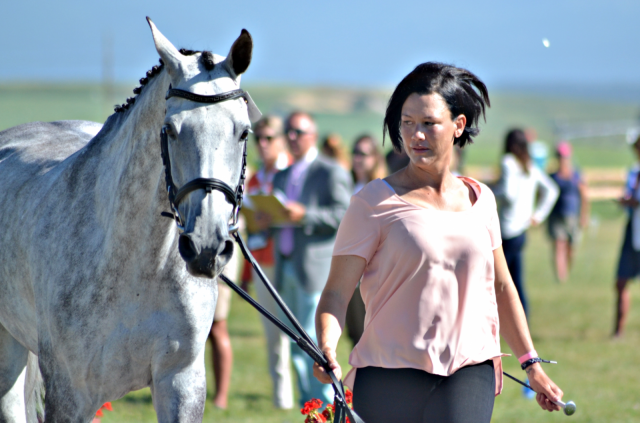 Heather Morris and Charlie Tango, 2nd place. Photo by Leslie Wylie. Andrea Baxter and Indy 500, 3rd place. Photo by Leslie Wylie. 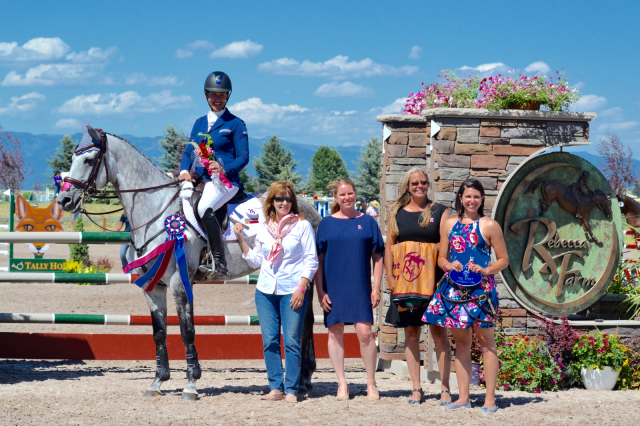 Tamie Smith led the Adequan USEA CIC3* Gold Cup from start to finish with Fleeceworks Royal, an 8-year-old Holsteiner mare owned by Judy McSwain. 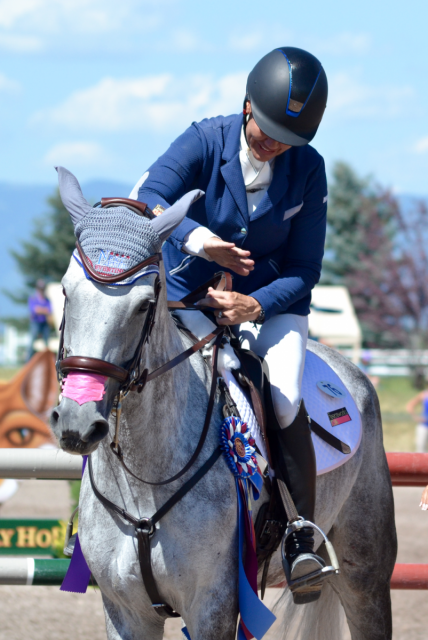 The win is a special one for both rider and owner, as Tamie has been developing Rory carefully since the horse was just a 4-year-old. Fleeceworks Royale and entourage. Photo by Leslie Wylie. 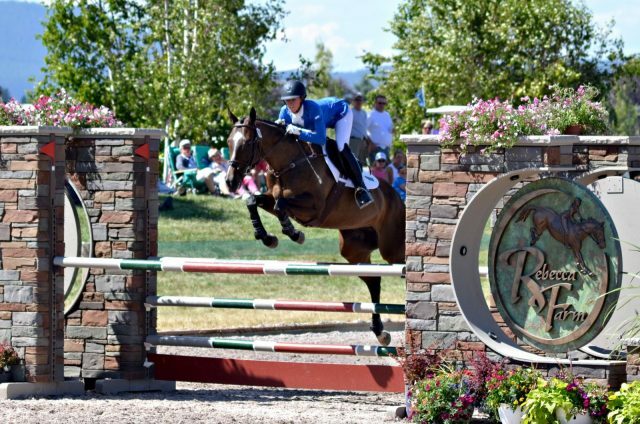 Tamie hesitates to commit to any fall plans with the horse, but says she is toying with the idea of doing the CCI2* at Fair Hill or Galway. “She’s way ahead of the curve for her age but she’s still young,” Tamie says. 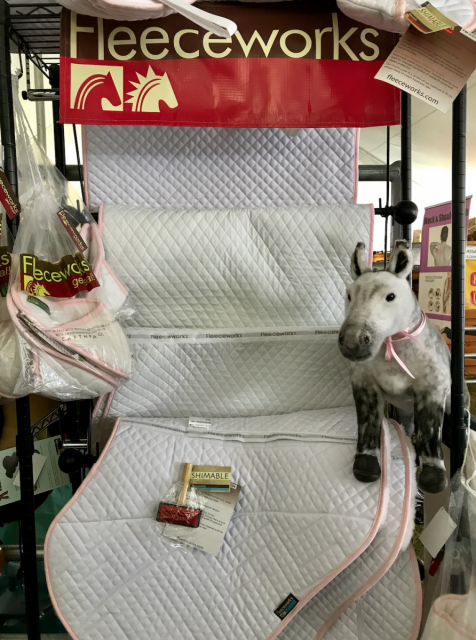 Tamie Smith and Fleeceworks Royale. Photo by Leslie Wylie. 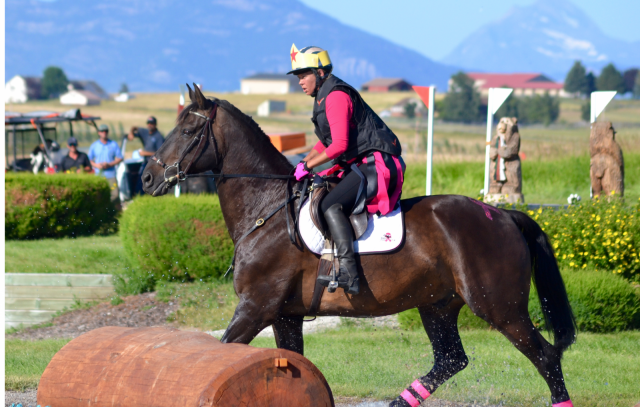 Like Erin and so many competitors we’ve spoken with this weekend, she applauds Rebecca Farm for the effort they’ve put into creating a destination event. For example, she says that earlier in the week when she walked cross country the footing was on the firm side, as Montana is experiencing a drought. 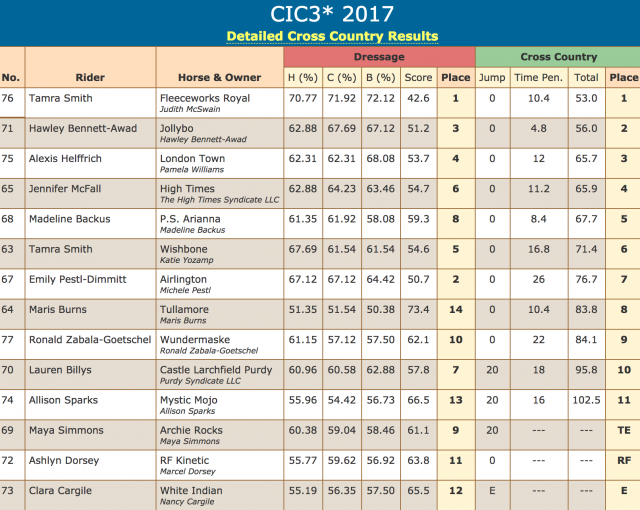 In addition to winning the CIC3*, Tamie placed 2nd in the CCI2* with Glock Pullman behind Derek di Grazia and Ringwood Justice. Tamie was leading heading in but pulled a rail, boosting Derek into the top spot. 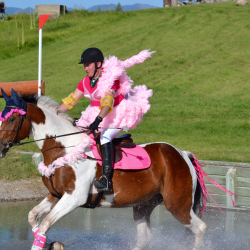 Everyone was thrilled to see the esteemed course designer capture a big win, Tamie included. 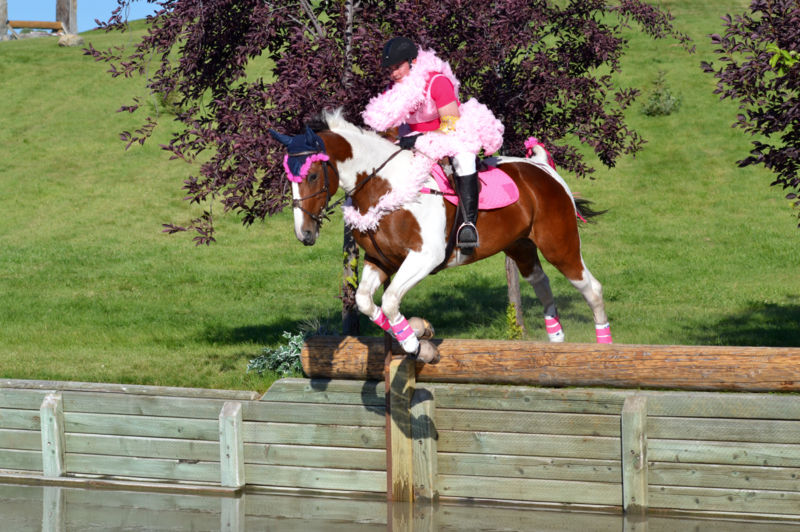 And one more big congrats to dole out to Rebecca Braitling and Santana II, winners of the CCI1*! 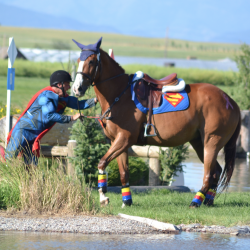 Tamie and Rory struck out with a eight-point cushion over second placed Emily Pestl-Dimmettand Airlington, and gained a bigger margin when Emily came home with 26 time penalties in hand. Their own 10.4 time penalties were good enough to keep them in first, while Hawley Bennett-Awad and Jollybo move from third to second. 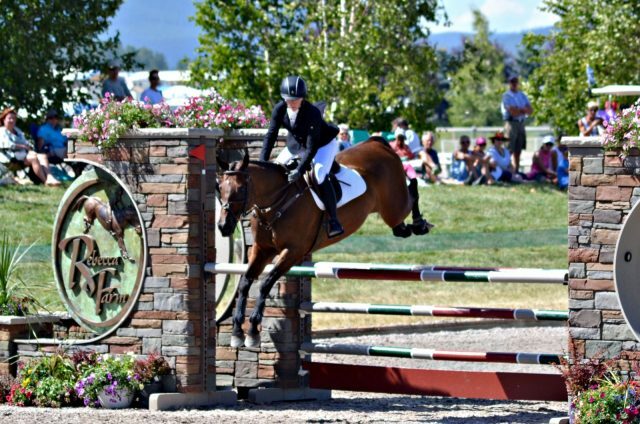 Alexis Helffrich and London Town round out the top three, jumping clear with 12 time. 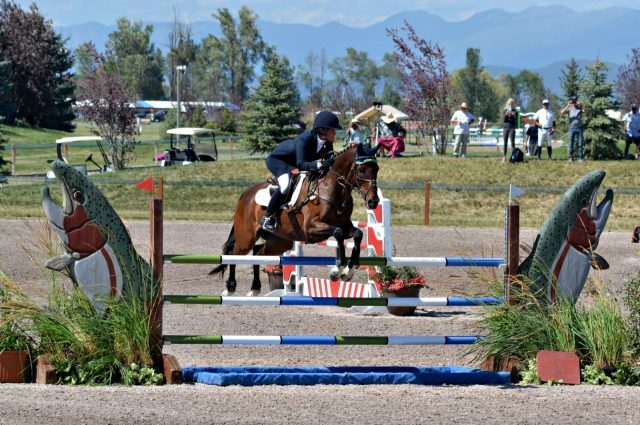 Maya Simmons and Archie Rocks were sadly technically eliminated after misinterpreting the 7AB barns. 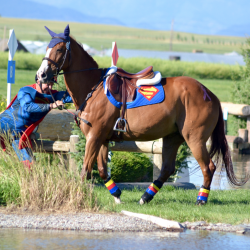 Ashlyn Tursey fell from RF Kinetic at 16ABC, the Normandy Bank, and Clara Cargileand and White Indian were eliminated when the horse repeatedly refused to jump into the first water. 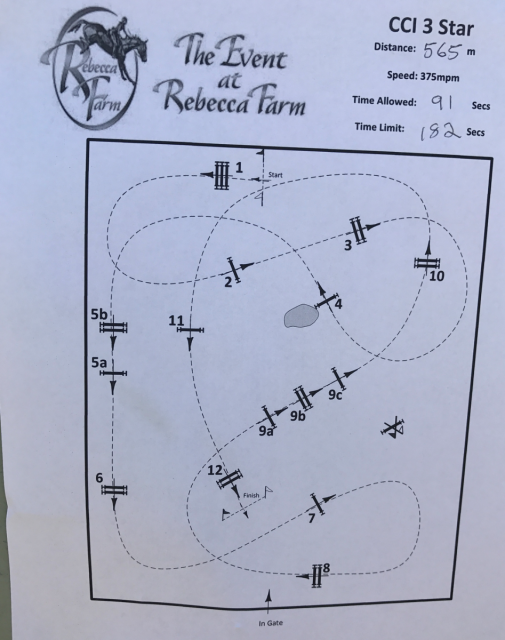 Last week, we shared this "Tuesday Tip," an image of how 10, 15 and 20 meter circles are laid out in the ring. We found the image on @walkaboutnation. The original post stated: "With show season getting into full swing, a reminder: geometry and accuracy are so important! Don't lose points because you don't know where a circle should be - or that it should be round!" This post had more likes, comments and shares than any other post in Fleecework's Facebook history! 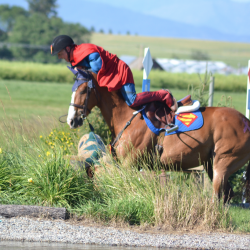 Laure Peters Radloff who said, "I've learned so much about how to ride a true circle by lunging my horse in my sand/Equiloft footing when it's freshly watered. 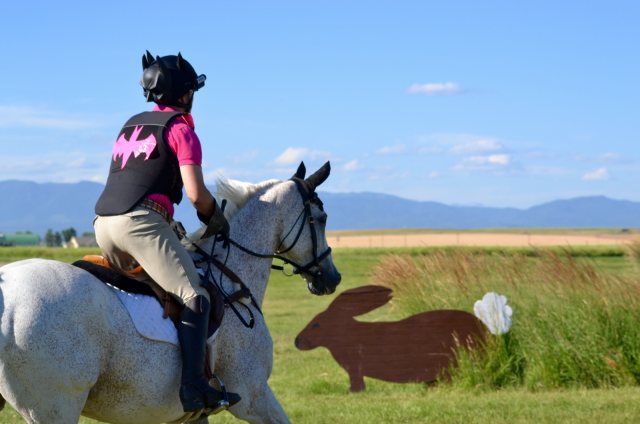 He scribes a perfect circle and then I ride it later when mounted, it's more outside rein than I thought:)." I love the dialogue and sharing this post created. 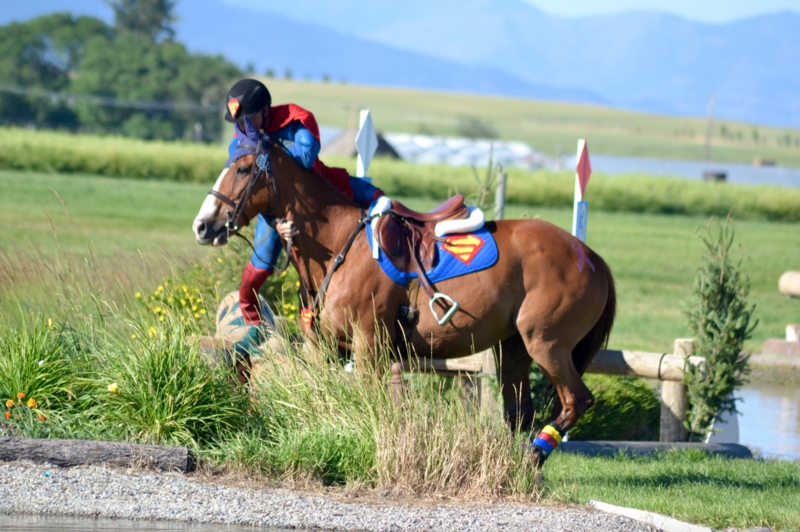 Good riding requires the ability to visualize how the horse is moving and what your various body parts are doing--sometimes at a volume that is beyond our momentary ability to visualize! The visuals here really hit home! Let us know how it's impacted your ride and show prep! Visit our Facebook page!